Some say that this octopus-like beast was responsible for an untold number of deaths, but the Nakota Indians tell a tale about a struggling creature which is uncannily similar to the allegedly extinct Plesiosaur. 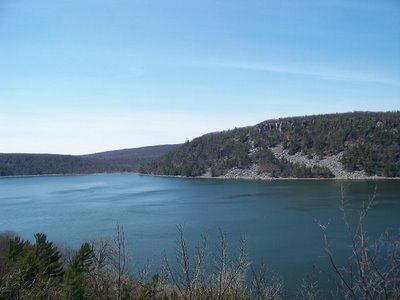 Located in Sauk County, Wisconsin, Devil’s Lake is an eerie, mist shrouded, body of brackish water, Carved by glaciers during the last ice age, this bluff quarantined lake could generated a deep-bone chill even if it weren’t the alleged home of a pair of vicious aquatic monsters. Originally known to the Native American Nakota Sioux’s as “M’de Wakan” — roughly translated as “Mystery” or “bad Spirit” Lake, although some insist that it simply means “sacred” — this stretch of deep, cold, salt-infested water has been known by many names over the centuries But it wasn’t until white settlers finally claimed the land in the middle of the 1800’s that the lake finally gained its current appellation: “Devil’s Lake.” It is a name, which residents claim, the lake lives up to. One of the earliest legends involving the creature of Devil’s Lake revolves around a Native American Indian chief who assembled an expedition of young warriors to go on a late night hunting trip on the fauna fertile lands across the lake. The full moon reflected off the night blackened waters as the young men and their leader slipped the canoe the water and began their late night trek. Suddenly, a flurry of tentacles ripped through the surf, capsizing the canoe and pulling the thrashing, terrified men beneath the brackish water. Although no one survived this ill-fated expedition, their screams alerted fellow tribesmen, who rushed onto the beach and were able to bear witness to this horrific event in grisly detail due to the moon’s lingering glow. The surviving warriors of the tribe, in order to pay homage to their fallen brethren — as well as appease what they believed to be the demon of the lake — held a festival every year, during which gifts and animal sacrifices were thrown into water. The tradition continues to this day, although nowadays the annual event is treated more along the lines of an annual picnic that celebrates tribal legends and traditions. Although most mainstream scientists agree that there is nothing in the zoological or fossil record regarding a North American FRESHWATER OCTOPI, this report does bear some striking similarities to accounts of a similar predatory beast known as the OKLAHOMA OCTOPUS as well as the Bahamas’ notorious blue hole dweller, the LUSCA. 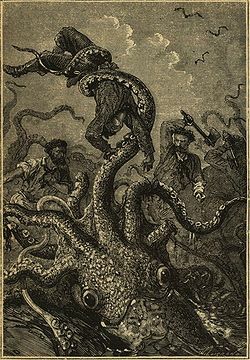 As if a colossal octopus-like beast weren’t more than enough monster for one body of water, when the first Christian missionaries arrived on the shores of Devil’s Lake they were greeted by the Nakota tribe who told them about yet another creature that was revealed in the year of the great drought. The Natkota’s remained near the swiftly drying lake, not only because it was the only water source for miles, but also because the animals upon which they fed were forced to expose themselves in order to drink, providing the tribe with an ample — and relatively simple to hunt — food source. As the summer progressed the lake grew smaller and smaller, until it eventually became two lakes, separated only by a shallow strip of mud, which ran through the center. One morning the Nakota’s awoke to find what they described as a huge, fish-like creature, which they referred to as “Hokuwa,” trapped on the narrow, muddy strip of exposed lake bed. The tribe watched as the apparently amphibious animal — which they described as having a large body, long neck and small head much like other prototypical LAKE MONSTERS such as CHAMP or the LOCH NESS MONSTER — thrashed and writhed in an effort to free itself from its drying perch for days. The sight filled the Nakota with both awe and terror and not even the bravest warrior dared to approach the creature, which they believed it to be an Unktizina — the vile progeny of the evil spirit Unk and the lizard beast known as UNKCEGI — for fear that the spirit’s wrath would bring on even greater hardships than just the drought. 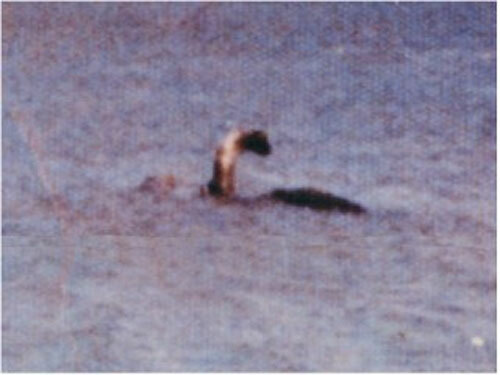 Eventually the animal was able to free itself and (presumably) make its way back into the deeper portion of the lake. 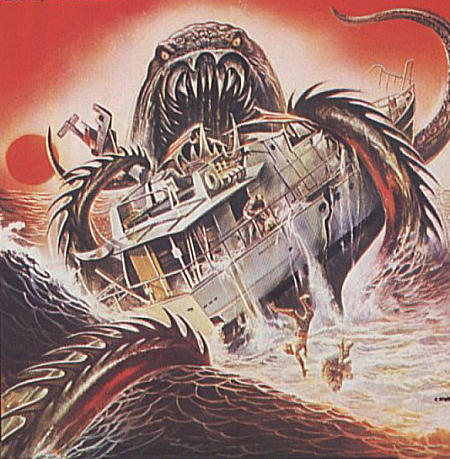 For anyone who might assume that they have nothing to fear from these AQUATIC ENIGMAS while on shore, it should be noted that since the 1970s there have been reports from campers around the lake of shadowy figures that skulk around tents in the dark of night. 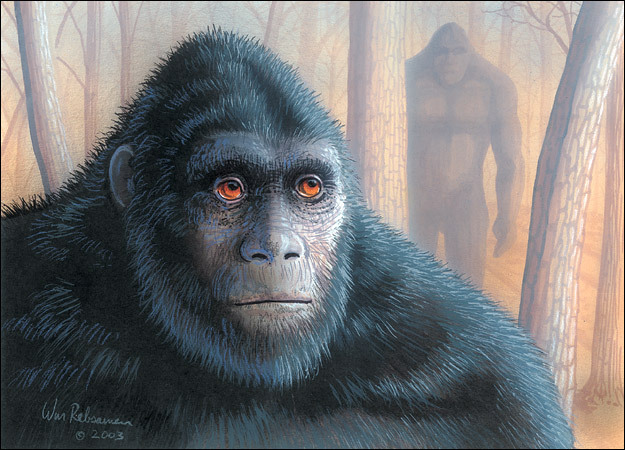 These figures are described as large, upright and hairy, much like reports of HAIRY HOMINIDS. So it would seem that when visiting Devil’s Lake no place is truly safe. Previous articleIS CHINA UNDER SIEGE FROM UFOS?